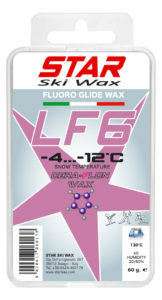 The abbreviation LF means LOW FLOUR and identifies the products in the STAR CERA-FLON WAX line with low content of fluoro-ceramics. 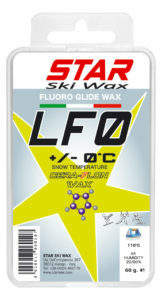 These products are great for training especially on cold and dry snow but can become competition wax if covered by the products of the line F 100% fluoro. 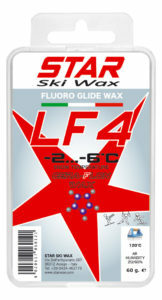 They provide good value and therefore are the most used by sport clubs and among numerous service laboratories who want to distinguish the quality of their work! 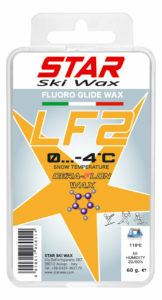 LF line offers the same glide properties for both the Alpine and Nordic disciplines.